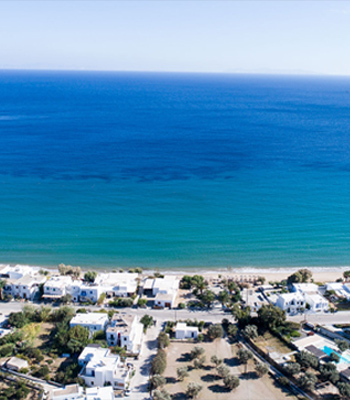 We welcome you on Sifnos island that has been placed among the TOP 10 "islands under the sun", in National Geographic’s list, and especially in Platis Gialos, one of the largest beaches of Sifnos, which is being awarded the European Union's Blue Flag for the last years. 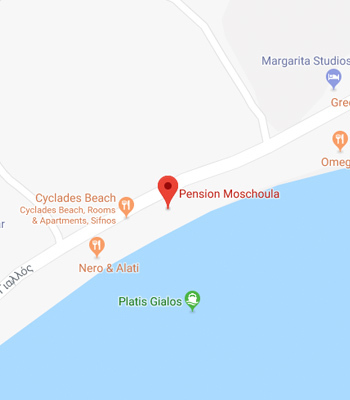 Here, within less than 10 meters from the beach, you will find Moshoula Pension, which is composed of one two-bedded room, one studio, one two-roomed apartment and one whole floor apartment, all of which have been recently renovated. Our unit’s aesthetics grantee peace and absolute harmony, creating a special sense of hospitality, combining tradition with high aesthetics and modern comfort. It will be our pleasure to serve you in anything you may need, with politeness and discretion.